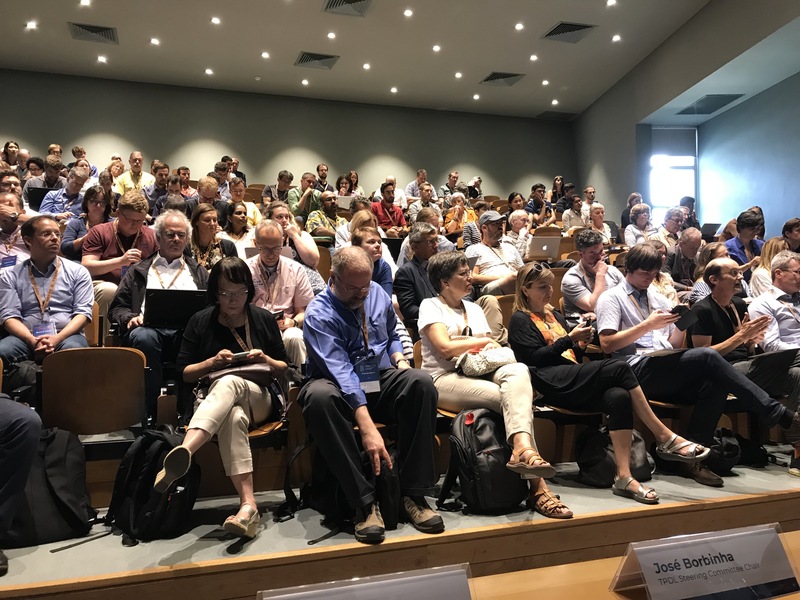 The DCMI Annual Conference was held last week, hosted by the Faculty of Engineering of the University of Porto, Portugal. The conference was co-located with TPDL which meant that while many people arrived as part of one community, all left with the experience and appreciation of two! The full conference proceedings are now available, with copies of presentation slides where appropriate. Some photographs of the conference can be found on Flickr, tagged with 'dcmi18'. If you use Flickr, please upload any photos you may have taken of the conference and use the same tag. More photographs (and commentary) can be found on the Twitter stream from the conference (using the tag: '#dcmi18'). As you will see in some of the photographs, the beautiful city of Porto played its part too! Judging by the feedback we have received so far, the conference was a great success. We would like to thank all those who contributed, the programme committee, the local organisers and, crucially, the participants! We will announcing details about next year's conference in the next few weeks, but we can already tell you that it will be hosted by the Korean National Library in Seoul, Korea. Keep an eye out for more announcements here!